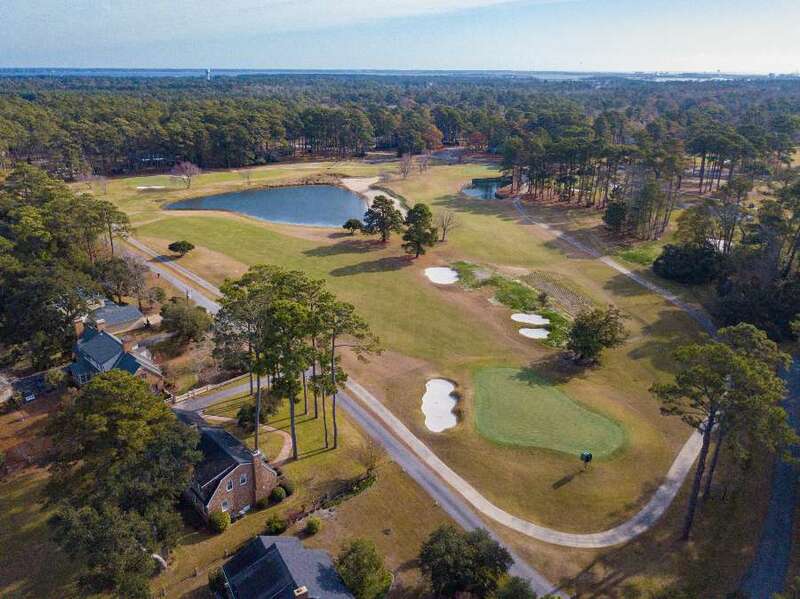 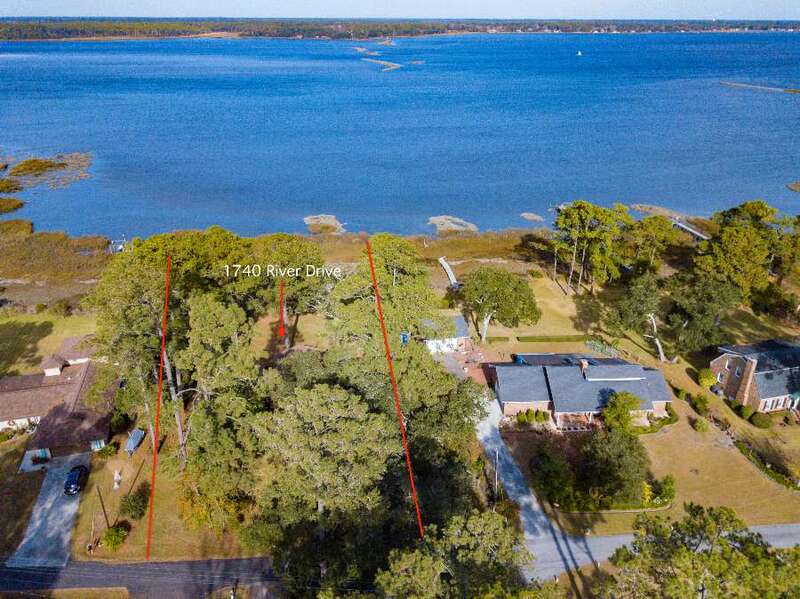 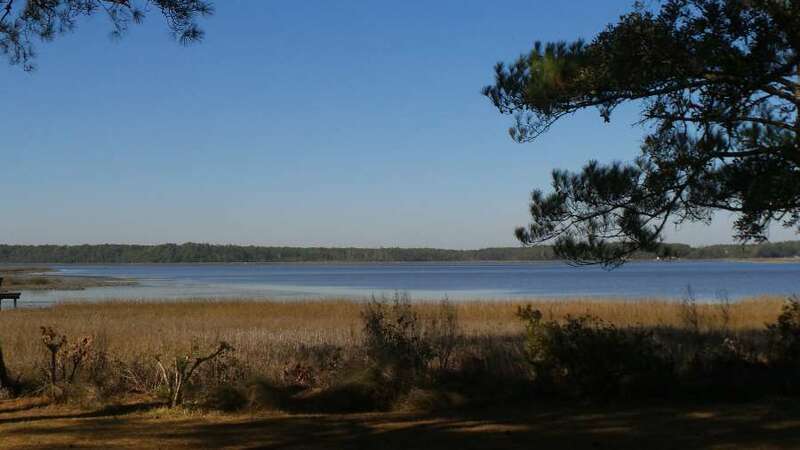 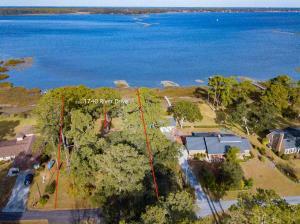 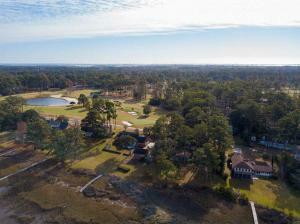 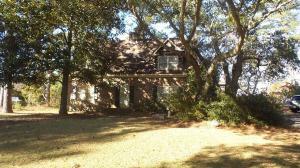 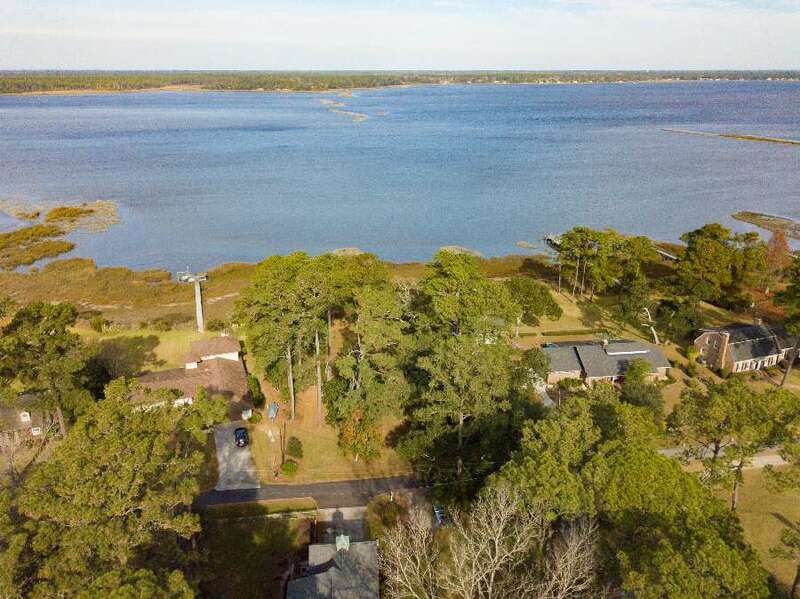 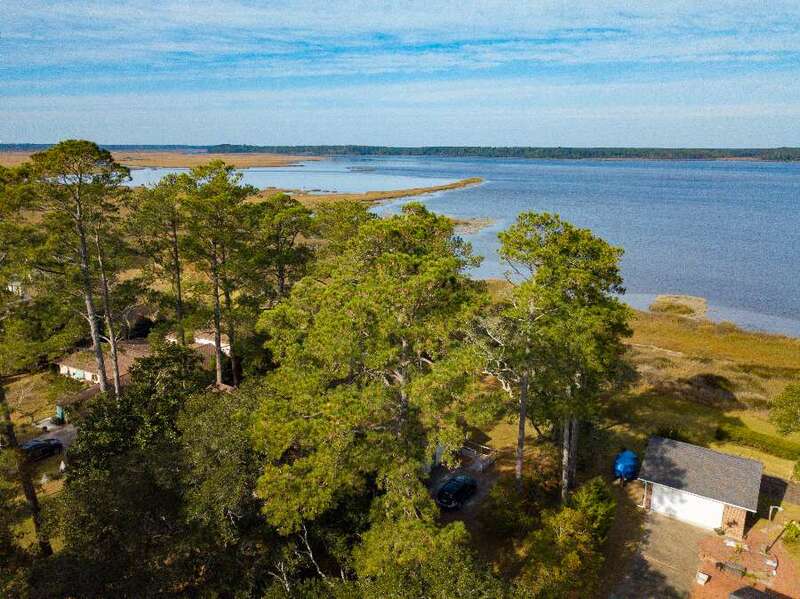 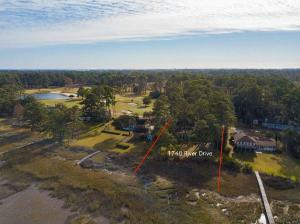 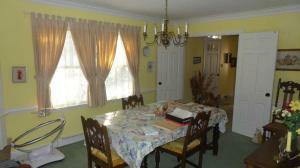 Classic 4 Bedroom, 3 bath home has waterfront and golf course views. 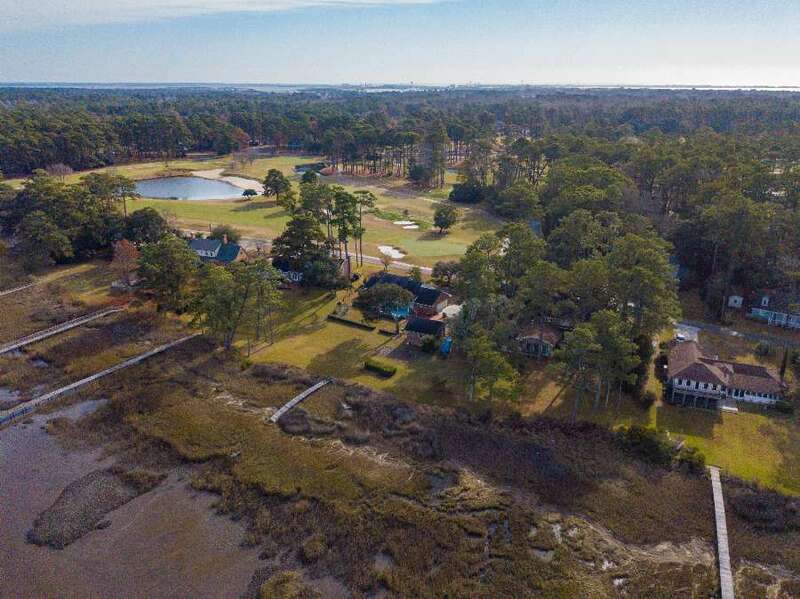 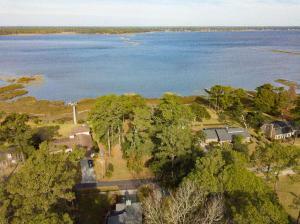 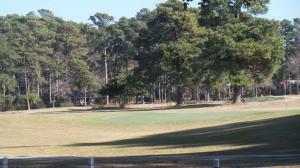 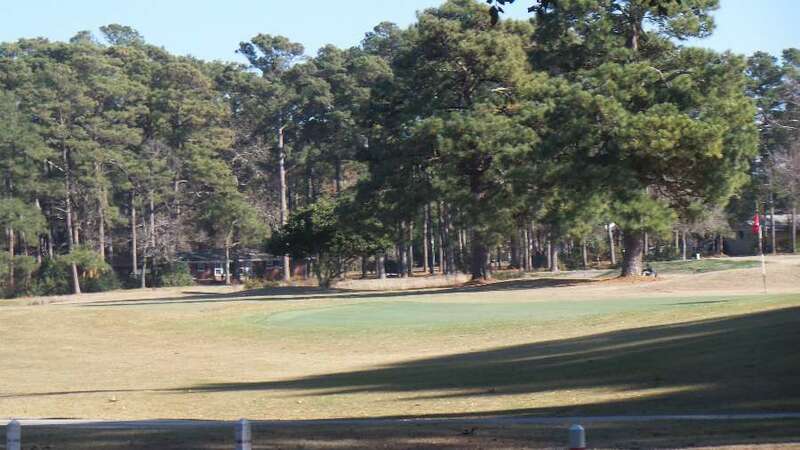 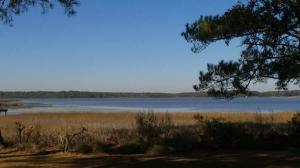 Beautiful views across the Newport River from your back deck and golf course views from your front yard. 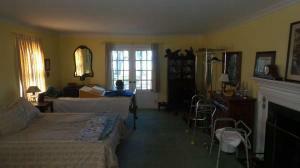 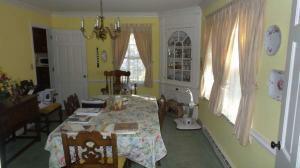 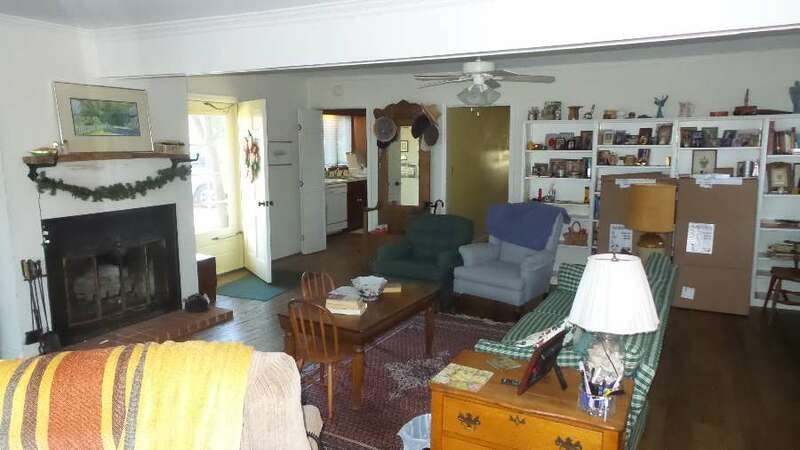 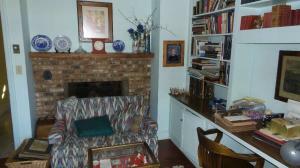 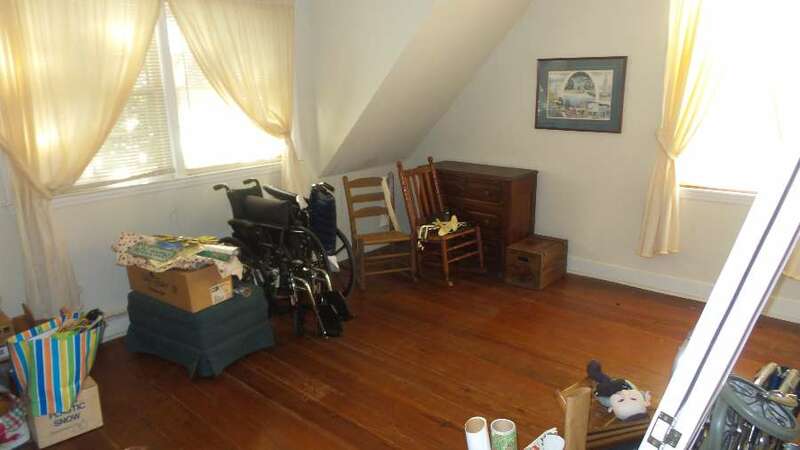 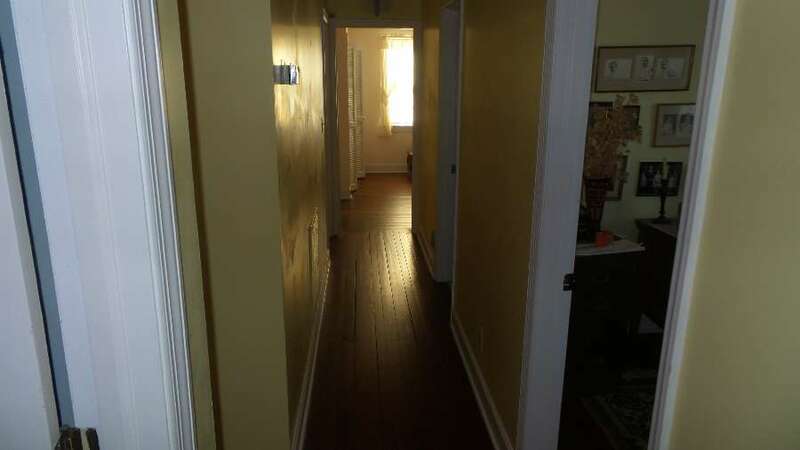 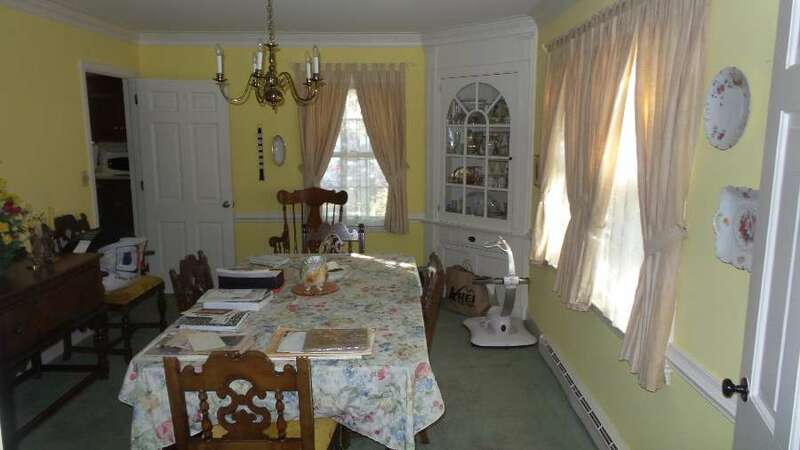 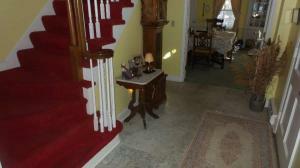 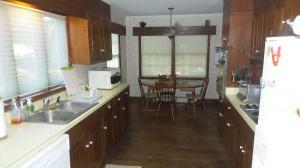 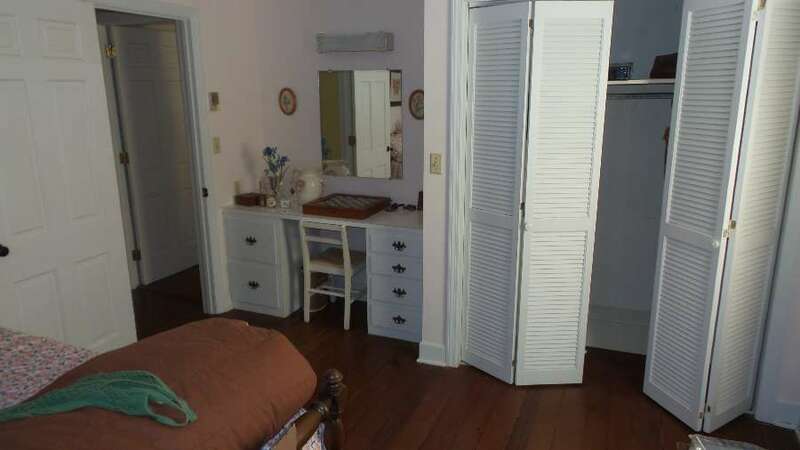 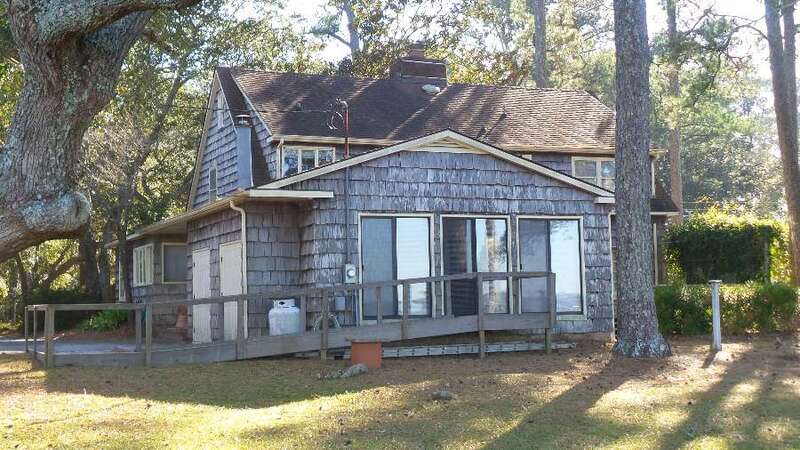 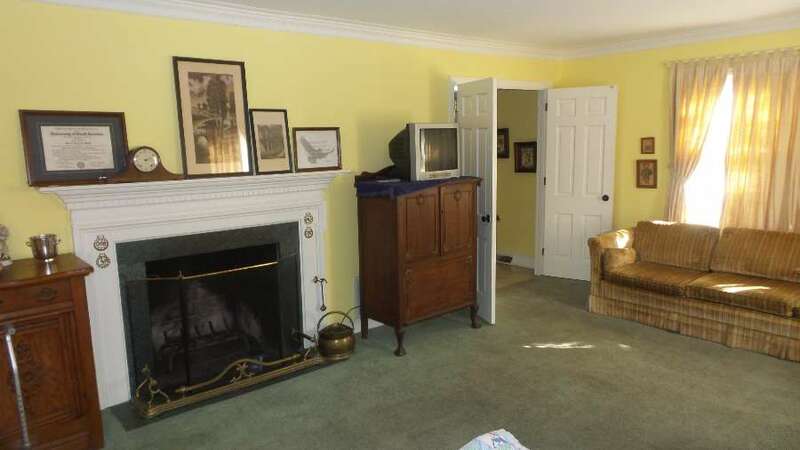 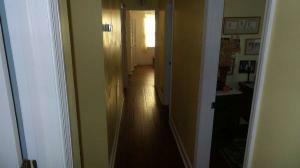 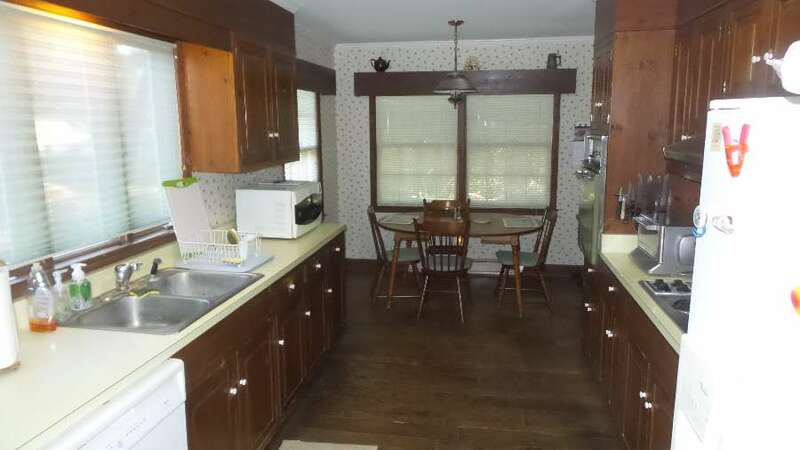 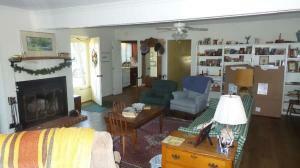 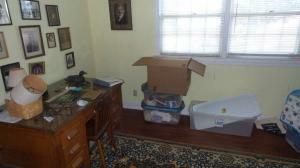 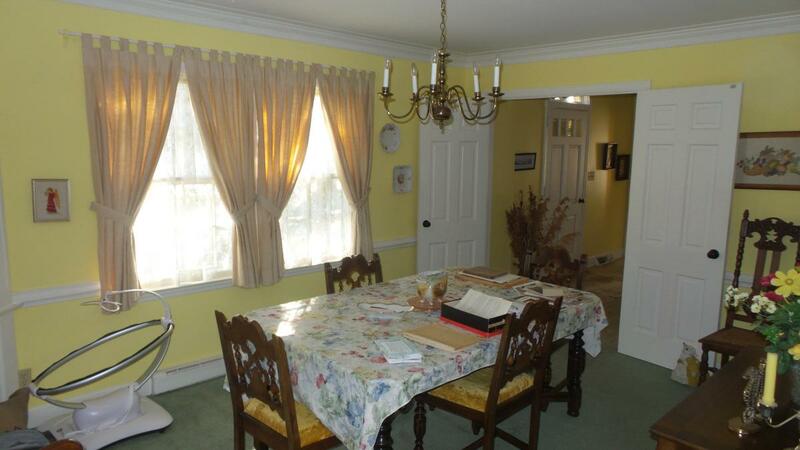 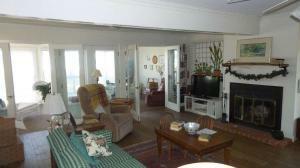 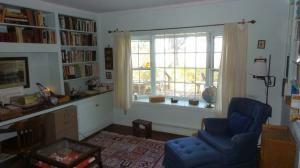 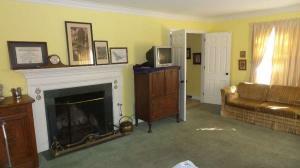 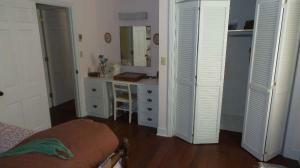 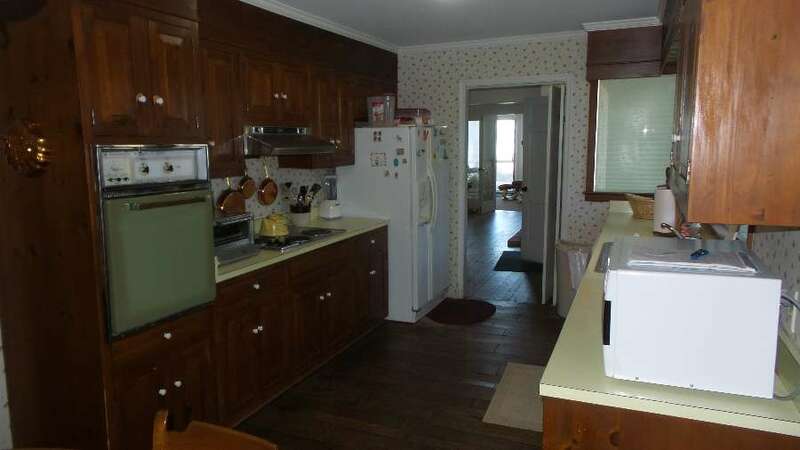 Has heart pine floors in all bedrooms, 3 fireplaces, cedar shingle siding. 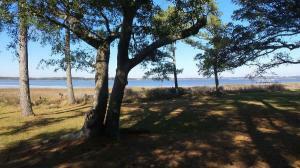 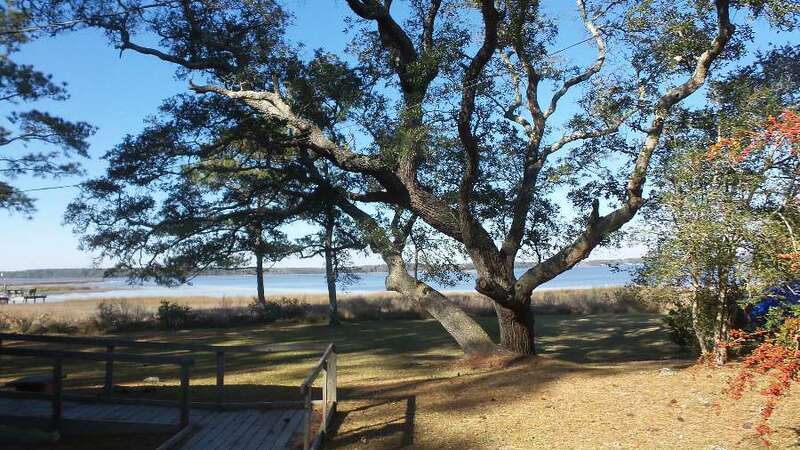 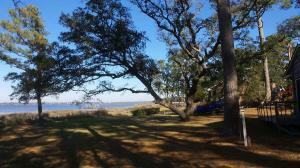 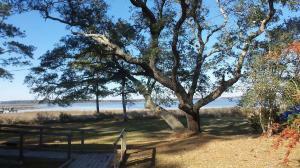 Picturesque live oak trees overlooking the Newport River.